The Motor Carrier Coverage Form is an ISO form similar to the Business Auto Policy. It is designed for businesses that haul goods on behalf of others in exchange for a fee. The Motor Carrier Coverage Form replaces the old ISO Truckers Coverage Form. The latter is no longer relevant as it contains outdated language. The Truckers form was developed at a time when the federal government imposed strict control over truckers' rates and routes. The trucking industry was deregulated in 1980 by the passage of the Motor Carrier Act. Nowadays, trucking companies can choose their own routes and negotiate rates with customers. The Motor Carrier Form reflects these regulatory changes. The Who Is An Insured Section of the BAP does not cover the owners of vehicles leased to the named insured. This is problematic because many truck leases require the lessee to insure the lessor (vehicle owner) under the lessee's auto liability coverage. Physical Damage coverage in the BAP does not apply to trailers owned by someone other than the named insured. This can present problems if the policyholder is liable for any damage that occurs to a leased or borrowed trailer. Under the BAP, liability insurance is primary for only for autos the named insured owns. If the policyholder hires or borrows a vehicle, that vehicle will be covered for liability on an excess basis. This definition is broad enough to include common carriers, contract carriers and private carriers. A common carrier is a company that will haul goods on behalf of anyone in exchange for a fee. A contract carrier transports goods on behalf of specific customers according to the terms negotiated in a contract. A private carrier hauls its own goods using its own vehicles. The Motor Carrier Coverage Form is combined with the Motor Carrier Declarations and various endorsements to create a Motor Carrier Policy (MCP). In many ways, the MCP closely resembles the BAP. Some key differences are outlined below. Like the BAP, the MCP utilizes a set of numbers, called covered auto designation symbols, to indicate the types of vehicles that are "covered autos" under the policy. The symbols used in the Motor Carrier Form are described in the chart below. These are not the same symbols used in the BAP. The symbols that apply to your policy should be shown in the declarations. A symbol should be listed next to each coverage you have purchased. For example, symbol 61 should appear next to auto liability coverage if you have elected to cover any auto for liability. Any auto includes hired autos, owned autos, and non-owned autos. Likewise, symbol 64 should appear next to Comprehensive coverage if, say, you have elected to insure all trucks, tractors, and trailers your company owns (but not private passenger vehicles) for Comprehensive. The owner or anyone else from whom you hire or borrow a trailer is an insured if the trailer qualifies as a covered auto under your motor carrier policy. This party is insured while the trailer is connected to a power unit (truck or tractor) that is a covered auto. He or she is also an insured while the trailer is not connected to a power unit if it is being used exclusively in your business. For example, you hire a trailer for two weeks from Rent-A-Trailer in order to haul a large load for a customer. Your MCP shows symbol 61 (any auto) in the declarations. Both your tractor and the rented trailer are covered autos. You are driving your tractor with the rented trailer attached when you inadvertently collide with another vehicle. The driver of the vehicle is injured in the accident and sues Rent-A-Trailer for bodily injury. As the owner of the hired trailer, Rent-A-Trailer is covered for the claim under your MCP. Also covered under the MCP is a person or company from whom you have leased a vehicle (other than a trailer) for use in your business as a motor carrier for hire. This party is an insured as long as he or she has not signed a hold harmless agreement in your favor. That is, the lessor is an insured if he or she has not signed a contract assuming liability on your behalf for accidents arising out of the use of the leased auto. In addition to the lessor, any driver, agent or employee of the lessor is an insured. For example, you lease a tractor from Rent-A-Truck to use in your trucking business. The lease requires you to indemnify Rent-A-Truck for any claims against it that arise out of your use of the tractor during the period of the lease. The lease does not hold you harmless for claims arising out of your use of the tractor. Thus, Rent-A-Truck is an insured under your policy during the term of the lease. The MCP includes a liability coverage called trailer interchange insurance. The latter covers damage to trailers in the insured's custody for which the insured is liable under a trailer interchange agreement. 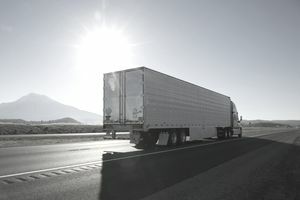 A trailer interchange agreement imposes liability on the hauler (trucker pulling the trailer) for physical damage to the trailer that occurs while the trailer is in the hauler's possession. Truckers may need trailer interchange coverage if they transport goods in trailers owned by someone else. Many truckers haul trailers owned by other truckers in order to facilitate the transportation of goods. For example, Sue (a trucker) uses a tractor-trailer rig she owns to haul goods from Williams, her hometown, to Happyville. Sue needs to spend two days in Happyville to attend to some business matters. Thus, Sue signs a trailer interchange agreement with Bill, another trucker. Bill agrees to deliver the goods to their final destination in Pleasantown. The agreement makes Bill liable for physical damage that occurs to the trailer while it is in Bill's custody. Trailer interchange insurance includes Supplementary Payments (defense coverage). It excludes damage caused by of nuclear hazard, war, freezing, tire punctures, and several other perils. It also excludes loss of use. Autos Hired or Borrowed From You: Liability coverage is primary if you (the lessor) are liable under a hold harmless agreement for accidents arising out of the use of the auto. Coverage is excess if you have not signed a hold harmless agreement. Autos You Hire or Borrow From Another Motor Carrier: Coverage is primary if the lessor has not assumed liability under a hold harmless agreement for accidents arising out of the use of the auto. If the lessor has signed such an agreement, coverage is excess. Trailers: If no contract states otherwise, a trailer connected to a power unit (tractor) is covered on the same basis (primary or excess) as the power unit, if the power unit is a covered auto. If the power unit isn't a covered auto, then the trailer is covered on an excess basis. Owned Versus Non-Owned: If no contract states otherwise, owned autos are covered on a primary basis. Autos you don't own are covered on an excess basis.